MicroLouvre’s™ miniature woven bronze louvres, only two times thicker than a human hair, are angled for optimum sun, glare and light control providing 100% shade blocking, 92% heat gain and reducing temperatures, eliminating glare and saving energy, whilst maintaining perfect outward vision and ventilation. MicroLouvre™ can be painted to suit every requirement, including full colour logos and images for full building facades. 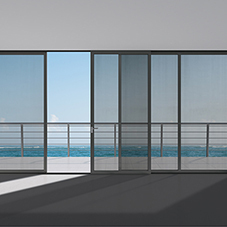 Comfort - MicroLouvre™ provides 100% sun shading, can reduce heat gain by up to 92% with down to 0.08 G Value (LBNL Flexlab USA 2016). 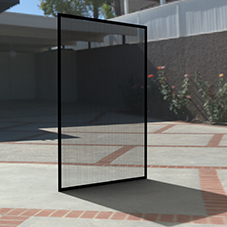 Outward Vision - MicroLouvre™ is almost invisible allowing perfect outward vision. 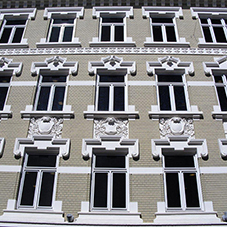 Appearance – MicroLouvre™ can replicate and enhance the desired appearance of any window shape, style or building façade or completely change and update if required. MicroLouvre™ can be any color and can even provide full colour printing of logos and images. 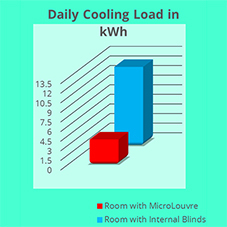 Energy – MicroLouvre™ is proven to reduce peak cooling loads by up to 68% and will provide up to 38% HVAC savings compared with the highest performing solar control glazing (LBNL Flexlab USA 2016). Fire rating – MicroLouvre™ is non-combustible. Heat Attenuation – MicroLouvre™ Heat Attenuation screens have been laboratory tested to achieve 49.4% Attenuation at 40 KW/m²incidence radiation, with only 10.7KW irradiance at 365mm. 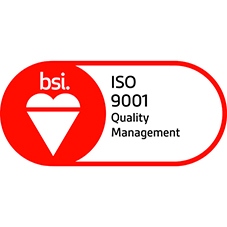 Health & Safety – MicroLouvre™ provides Thermal Comfort with 80% free air flow ventilation, 0.45 back of room natural light transmittance, insect and pest reduction, noise protection (up to 50%). Eco-Friendly - MicroLouvre™ embraces the three R’s of conservation, ‘Reduce, Re-use and Recycle’ using environmentally friendly and efficiently recyclable copper bronze alloy with proven longevity of over 40 years. Maintenance - MicroLouvre™ is virtually maintenance free.